Once upon a time in the US you could fairly predict what Americans believe about Russia. Their beliefs would parallel their views of the USSR during the Cold War, with Democrats being relatively more optimistic and uncritical of Russia than their Republican counterparts. As one example, take the spring 2015 poll by Pew Research (www.pewresearch.org/fact-tank/2015/06/15/republicans-and-democrats-sharply-divided-on-how-tough-to-be-with-russia/). 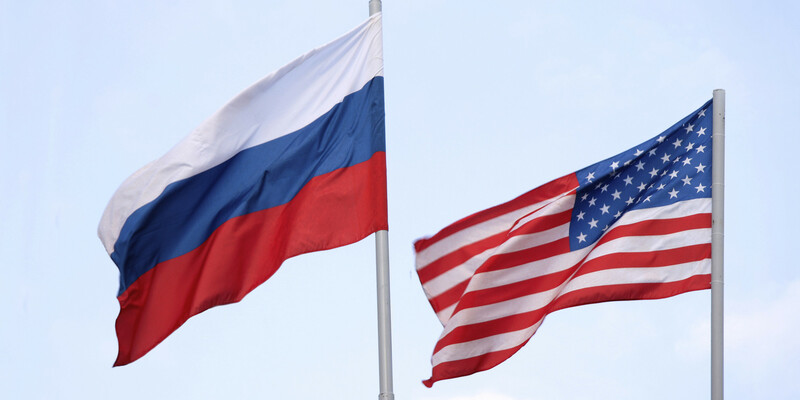 It shows that the liberal-conservative divide on Russia held firm, with Republicans far more hawkish than Democrats on the Russia threat, arms to Ukraine, support of NATO, and sanctions on Russia. But switch to the present and all bets are off. The two camps have changed places. Thanks to Trump’s embrace of Putin, grassroots Republicans have about the same regard for Russia as the Russians themselves. Republicans join with Trump in doubting Russian hacking and the Russian threat to the US; on the other hand, they hope for friendly relations with Russia (www.washingtonpost.com/news/monkey-cage/wp/2017/02/16/republicans-used-to-fear-russians-heres-what-they-think-now/). Now it’s the Democrats who want to go after Russia with sanctions and a stronger NATO—one reason Vladimir Putin was evidently so anxious that a hawkish Hillary Clinton not win the election and continue Barack Obama’s confrontational policies. As in the movie, it’s up to the liberals to save the country—not from the communists but from the Bannons, Millers, and other conspiratorialists under Trump who, like Putin, want to make the world safe for white Christians, for big business (and oligarchs), and of course for Russia’s ambitions. Liberals will have a tough time undermining a soft line on Russia. Barring some new revelation by the various investigating committees and the FBI of collusion between Trump’s surrogates and Russian officials last year, the administration will be free to pursue a pro-Russia policy. Mel, I don’t get your argument. I rather doubt that the poll results reflect the underlying reason for a Republican turn around on Russia. My guess is that what we are seeing is simply the Trump effect. I just don’t believe that R voters who were previously opposed to Russia/Soviet Union are suddenly lining up for Russian nuclear, domestic, trade or foreign policy positions. This is a fundamental frailty of polling results. Since the Dems are not encumbered by blind fealty to The Donald, I suspect D opinion will stay on course whereas R opinion will be more volatile and will shift as he proceeds to Tweet himself into oblivion. Trump’s forever-in-process tax returns, which, I believe, they can do? If a Congress member could have done it–and s/he certainly has the right–it would have happened already. The “patriotic guts” evidently have been left on the floor. Putin clearly seeks to “Make Russia Great Again,” which is another reason for him to support Trump. The most cost-effective way to promote Russia in the world is to encourage relative decline of a polarized America headed by a predictably contentious and ineffective Donald Trump. If Trump is successful, Putin has an ally in the global ideological re-alignment. If Trump fails, Putin still wins! your consideration–an evolving exercise that would benefit from your feedback, e.g. : what is over-stated, under-stated, mis-stated, and/or missing? A new edition will likely be made available after the next major outrage to our human and national interest sensibilities. Contact: mmarien@twcny.rr.com or post in the Comments section. Thanks.